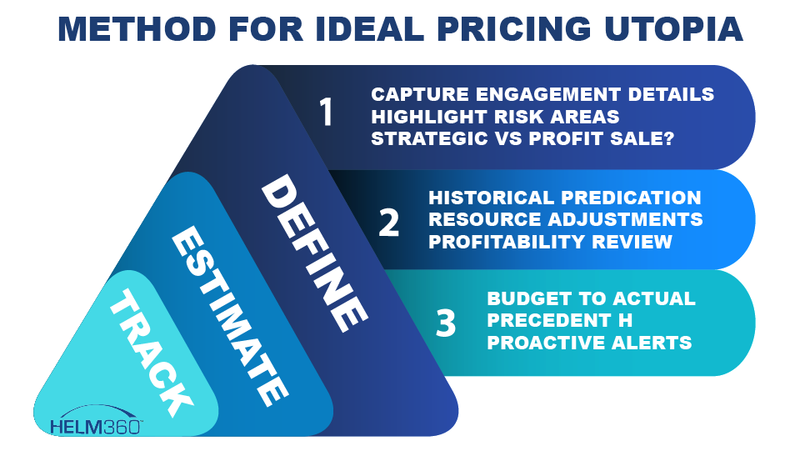 Effectively Pricing Legal Engagements – Pricing Utopia! Estimating legal scope and relationship accurately has long been a challenge – whether estimating the time and effort required to represent a client or billing an assumption of time to develop a software project, the outcome remains the same – estimating time, pricing and deadlines accurately leads to higher customer satisfaction, higher quality output and above all, repeat customers. Experience Factor: The level of support and experience lawyers and legal help must deliver varies greatly depending on the scope of the project, case and/or desired outcome. Most estimations delivered from firms are based on assumptions that a singular individual or team is going to physically deliver the work; this is not the case in larger organizations. Optimism and Pessimism Levels: Without taking contingencies or project changes into consideration, it is easy to become optimistic about the length of the project, the time required and the projected deadline. This can lead to undercharging a client with a need for additional invoicing, potentially resulting in unhappy clientele and loss of repeat customers.From a pessimistic standpoint, estimating time, scope and deadlines may over-stretch reality and cost the client more than the actual amount required by the project. Again, unhappy clientele and loss of repeat customers putting legal professionals at risk. Profitability Blindfolds: It is easy for lawyers to practice gaining customer relationships and winning clientele rather than focusing on the scope of the project for time requirements and billing purposes. This places a profitability blindfold on the relationship and working engagement. Having a glowing client portfolio is ideal, however, having a business margin proving positive rather than low or negative is the key to success for all firms. Is the case straightforward conveyancing engagement or a complex defense case likely to be more difficult to estimate? What risk factors need to be considered? Any unknowns, details or missing information needing to be accounted for? It is necessary to define the type of sale a client is requiring and to prepare a strategic document outlining whether or not a case is profitable. By taking this necessary step, consideration for production of the estimate and tracking for the case can be done accordingly. After strategically defining the scope, the next step is to produce an effective estimate. To do this, consider potential resources needed throughout the project, use historical data from similar or relevant projects and leverage profit margins to assign accurate pricing on the current engagement. Will Senior Level assistance be required to complete the project? If so, will this effect profit margins? Have similar cases presented certain setbacks or additional research impacting the overall amount of time a client is requiring? Will resources used be likely to change prior to completing the project? What are potential negative risks that may impact the profit margins for this case? If, however, it’s a brand-new area, adding some contingency to the expected profit margin will enable a law firm to protect themselves from a loss-making engagement. 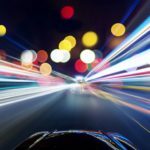 Though winning new business is important within any firm, strategically tracking each new and ongoing engagement is the key to continued success when effectively pricing legal engagements. Tracking each instance of engagements can lead to originating accurate estimates, ensuring profit lines, aligning and maintaining budgets to company goals, and overall – high-quality profit margins. This same process aides in predicting changes to the project scope, deliverable accountability, inclusion of additional resources prior to demand, and overall increased profitability. 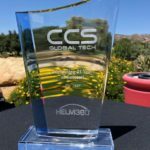 Helm360’s Terminus Vision platform provides fully-fledged Matter Pricing, budgeting and Tracking solutions to work out-of-the-box for legal financial systems such as ProLaw, Elite Enterprise and Elite 3E. 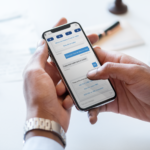 Each Terminus solution includes Termi, the AI chatbot designed specifically for legal associates and law firms to take the complexity out of interacting with large systems through a voice and chat-based interface. Access to Termi is available on all mobile devices and computers with data/internet access.